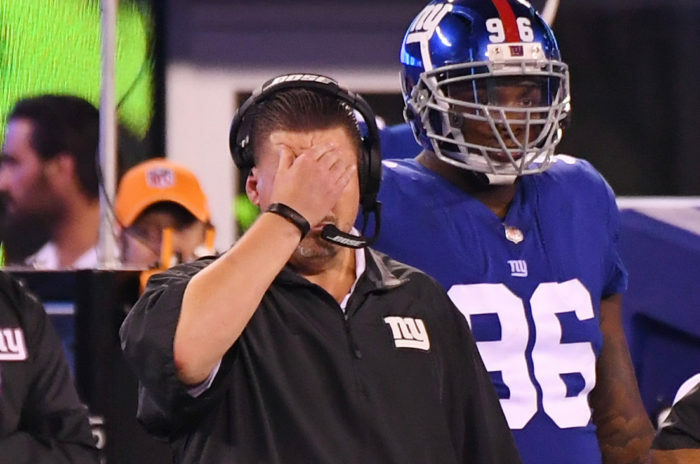 New York Giants 2017 Coaching Staff - Where Are They Now? HCR Blog: 2017 Giants Coaching Staff – Where Are They Now? Over the course of the summer, we’ll take a look at all seven teams that have new staffs. Today, we look at the New York Giants. • With a new NFL team: 8. The most high-profile among these is former Giants offensive coordinator Mike Sullivan, who takes over as quarterbacks coach in Denver, where he’ll be responsible for working with new Broncos starter Case Keenum. As for former Giants QB coach Frank Cignetti Jr., he’ll assume that same role with the Green Bay Packers – not exactly the most challenging job since his No. 1 QB is Aaron Rodgers. • Stayed with Giants: 8. Running backs coach Craig Johnson returns in the same role, only now he’s got a shiny new toy at his disposal in first-round pick Saquon Barkley. Lunda Wells, who was the assistant offensive line coach last year, was promoted to tight ends coach. Here’s the complete rundown of where the 2017 Giants coaches are now.